FAR 21.183(d) requires a "100 hour type" aircraft inspection to be performed prior to making application for a standard airworthiness certificate. 4. The holder of a certificate issued under FAR 121 and having a maintenance and inspection organization appropriately rated for the type of aircraft involved. 1. The applicant may have the aircraft inspected in accordance with the performance rules for 100-hour inspections set forth in FAR 43.15(c)(1). 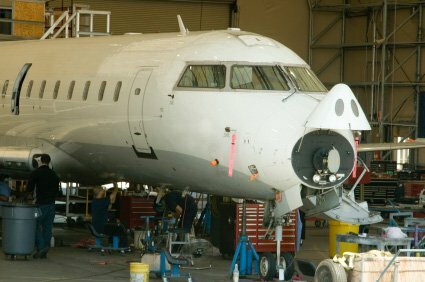 a) When the inspection was performed within 30 days before the date of application for a standard airworthiness certificate. b) When the inspection was accomplished by an approved maintenance organization appropriately certificated by the CAA of a country with which the United States has a bilateralmaintenance agreement and that meets the requirements as defined in FAR 21.183(d)(2). FAR 43.15(c) is where you find the performance rule for 100 hour and annual aircraft inspections. This section of the regulations refers you to FAR 43 Appendix D for a list of items that must be included in the inspection. In summary, regardless of the aircraft maintenance program being used, the regulations require that the aircraft inspections for a standard or export certification be at least equivalent in scope and detail to the aircraft inspections outlined above.